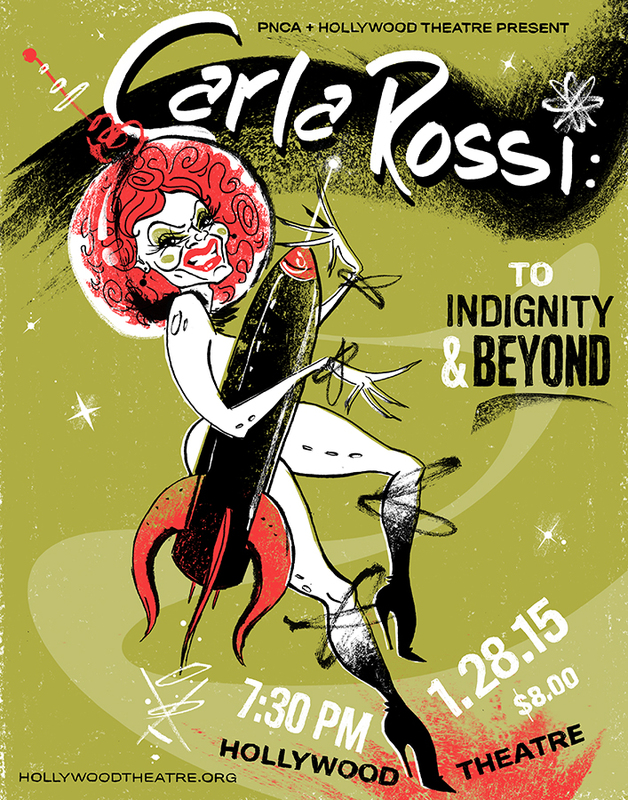 Join Portland’s premier drag clown CARLA ROSSI in her newest show as PNCA + The Hollywood Theatre’s first Media Resident! CARLA ROSSI: TO INDIGNITY & BEYOND is a multimedia show of monologue, song, and video relentlessly cobbled together by Carla Rossi and her human avatar Anthony Hudson. Join your hostess as she recounts her meteoric rise to fame and her struggles in the art world in an evening that is half greatest hits collection and half all-new one-woman-ish show, with special guest stars Leigh Rich, Marina Abramovic, Laurie Anderson, and many more! WED JAN 28 | 7:30 PM | $8. Find out more at hollywoodtheatre.org.